Private insurance companies sell Medicare Supplement plans in New York to help cover the deductibles and coinsurance associated with Original Medicare. These Medigap plans differ based on where you live. To find the Medicare Supplement plan that matches your needs and fits within your budget, you need to know how Medicare Supplement plans in New York work and the outline of coverage for each plan. Medicare Plans E, H, I and J are not available to new beneficiaries in 2010, but if you have one of these Medicare Supplement plans, it is still in effect. NY also offers a high-deductible option for Plan F. The trade-off for a higher deductible is lower premiums. Although there are plans available in all 62 New York counties, not every Medigap plan is available in each county. You can use our online tool to find the Medicare Supplement plans sold in your zip code and compare premiums between insurance companies. Insurance carriers typically make annual changes in their rates, so it’s smart to compare quotes each year. The benefits under the best Medicare Supplement plans are the same no matter which insurance company you buy your policy through or what the premium is. That means that the benefits under Plan C will be the same whether you live in Syracuse, the town of Greenville in Greene County or the town of Greenville in Westchester County. As in other states, Medicare Supplement plans in New York do not cover prescription drugs. To get coverage for your medication, you will need to buy a separate policy. As of 2015, more than 3.34 million New Yorkers had Medicare Part A or Part B coverage. Around 164 million residents are eligible for Medicare Part A. Of the Medicare beneficiaries, 84 percent had coverage due to age; 16 percent had coverage due to disability. In 2015, 37 percent had Medicare Advantage. More than 18.9 percent (398,035) of residents had a Medicare Supplement plan. Plan F is the most popular among New Yorkers. The next three are Plan N, C, and B. The average retirement age is 64. The five largest counties are Kings, Queens, New York, Suffolk, and the Bronx. When Should I Apply for A Medicare Supplement plan in New York? Under federal guidelines, you are eligible to apply for a Medigap plan after you turn 65 years old and enroll in Part B Medicare. Federal law states that you have an open enrollment period of six months; the six months start three months before meeting both of these conditions. Many states limit enrollment in Medicare Supplement plans to this six-month time frame. However, New York state law requires insurance carriers offering Medigap plans to accept your policy application at any time, even outside of the six-month federal window. Companies cannot deny your request for a Medicare Supplement plan in New York, nor can they charge you a higher premium based on your health history, pre-existing conditions claims history or whether you are receiving treatment from a health care provider. Although NY regulations require Medigap insurance companies to accept your application at any time, providers are allowed to impose a waiting period of up to six months before they provide coverage for a pre-existing condition. Under New York state law, insurance companies can waive or reduce this six-month waiting period if you had “credible” coverage before applying for a Medicare Supplement plan. As long as you did not have a break in coverage for more than 63 days, the law requires providers to decrease the waiting period by the number of days you had creditable coverage. How Are Rates Calculated for Medicare Supplement Plans in New York? Premiums are based on your current age and rise as you get older. Premiums figured using your age when you buy the policy; they may increase as you get older but not because of your age. Everyone pays the same premium regardless of age. New York law requires insurance carriers to use the community-rated method to calculate Medicare Supplement rates. 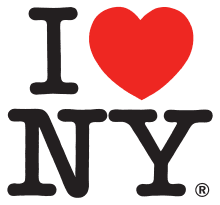 Can I Use My New York Medicare Supplement Plan In Other States? Yes. The best advantage of a Medicare Supplement plan is that you do not need a referral or have to stay within a provider network. You can seek treatment from any doctor or provider who accepts Medicare. Medigap plans give you the freedom to access the best care anywhere in the country. Almost all Medigap plans are portable, which means you can take your plan with you if you move to another state. Because health care costs vary across the country, you may pay a higher or lower rate for the plan. How Do I Apply for A Medicare Supplement Plan in New York? Enrollment periods, guaranteed issue rights and the differences between Medicare Supplement plans can become confusing. We can help you navigate the outline of coverage for Medicare Supplement plans in New York and find the best one that fits your needs. We can also compare rates. To get started comparing premiums online, select New York from our drop-down menu, or call one of our Medicare specialists.